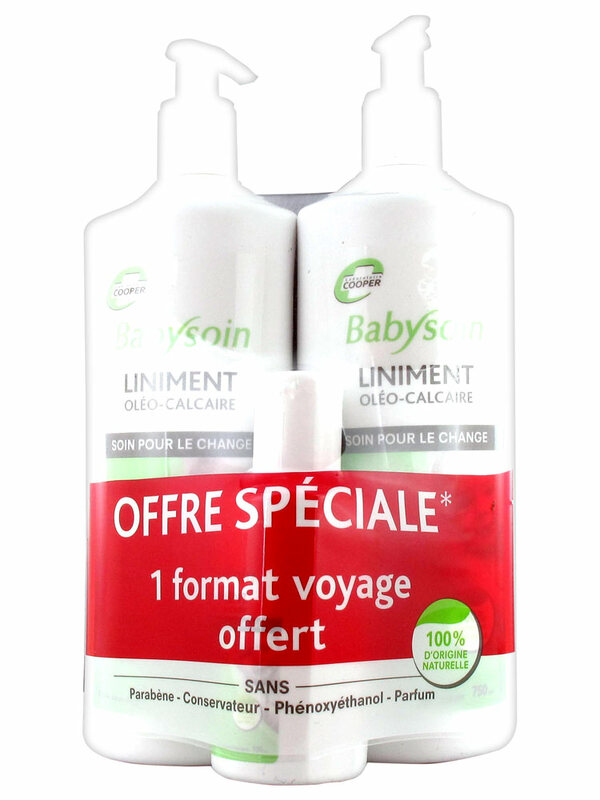 Cooper Babysoin Oil-Limestone Liniment 2 x 750ml + Free Travel Size 100ml is to use mainly for your baby change. Formulated with extra virgin olive oil obtained by cold pressed and lime water, this natural product, without preservative and perfume will allow to clean the baby bottom every day. 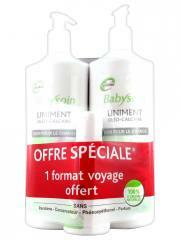 It protects from irritations and is recommended in case of nappy rash. The Cooper liniment is recommended for cleaning the baby seat. It protects against irritations and is strongly recommended in cases of diaper rash. Its oily texture, leaves a protective film on the skin that preserves the buttocks of redness. Effective it eliminates in a single pass the bacteria likely to irritate the skin of the baby. The product is in accordance with the European Pharmacopoeia. Shake before use. Apply with a cotton pad or a compress directly on areas to treat. Indication: Surface burns, nappy rash of the infant, cutaneous drying.